Robbie has dreamed of joining the Marines his whole life. 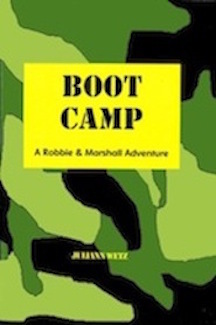 So when Robbie’s cousin Jim comes home to visit on leave from the Marines, Robbie arranges to have Jim put him through “boot camp”. But when Robbie’s friend, Marshall, horns in on the action, the two fight so much that Jim calls the whole thing off. Can the two walk together to convince Jim to change his mind?